Are you ready to take your game to the next level? The double eagles depro-600 is your key to increased confidence, fewer frustrations, faster rounds & lower scores. 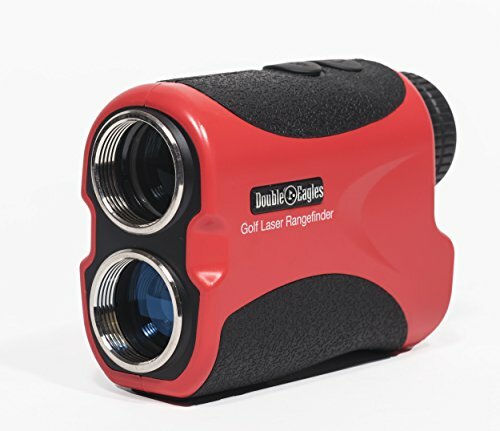 Features: - Laser rangefinder, double eagles golf laser rangefinder is a premium product, measuring up to 600 yards with continuous scan mode, advanced pin sensor technology, and a durable, water-resistant body. - Pin sensor technology, provides fast measurement with 1-yard accuracy, together with pin sensor technology to accurately measure overlapping subjects, perfect for measuring golf flags, hazards and wooded areas (yards or meters). - Through the lens display, premium, ultra clear, multilayered optics with the easy read, through the lens display with distance and battery meter, and continuous measurement mode for fast, convenient measurements. - Lightweight and portable, measures just 104 x 72 x 41 mm and weighing just 185g, with a water and dust resistant, durable body, perfect for carrying while golfing or hunting, or for measuring and surveying without extra weight or bulk. - Full package, (eye-safe rangefinder class 1 laser with <0.5mw average power output) complete rangefinder package for quick setup, including premium carrying pouch, cr2 battery, strap, microfiber cleaning cloth, instruction manual.